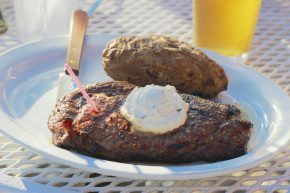 When you look up places to eat in Saugatuck, one spot is at the top of every list: Phil’s. 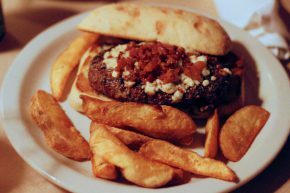 Phil’s is like the quintessential Midwestern Bar and Grille, serving up a variety of beers, burgers, salads and the like in a dimly lit space that leans more toward dive than romance. Naturally, we had to pay the place a visit.